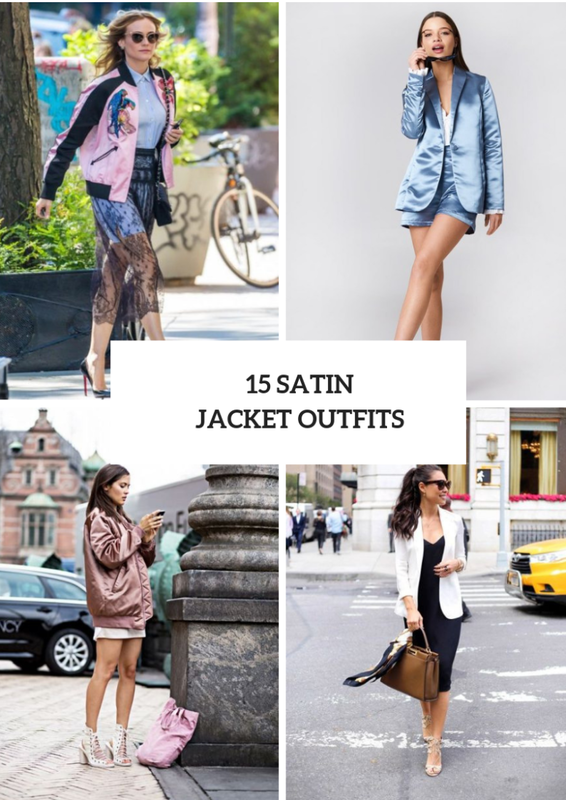 We continue to share with you original and stylish pieces of clothes from a satin fabric, and today let me show you cool and elegant satin jackets and blazers. 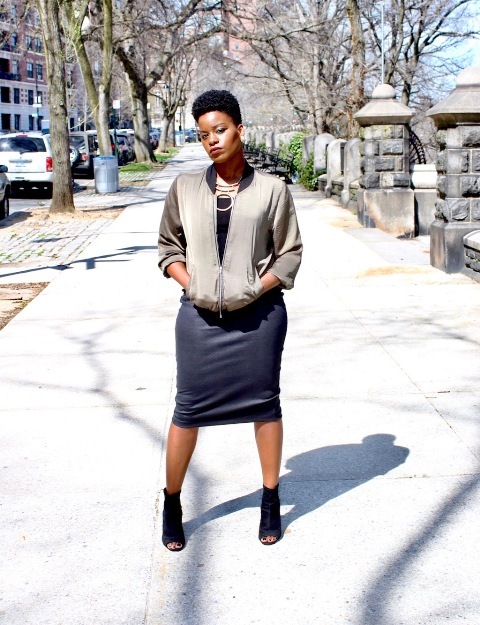 The good news is that you can find almost all kinds of jackets from this fabric from a bomber to double breasted, from a loose and long to fitted one. So after choosing a perfect type of jackets you need to think about a color combination or print for your new item. So you can pick up basic color blazers such as navy blue, black, white or gray ones. 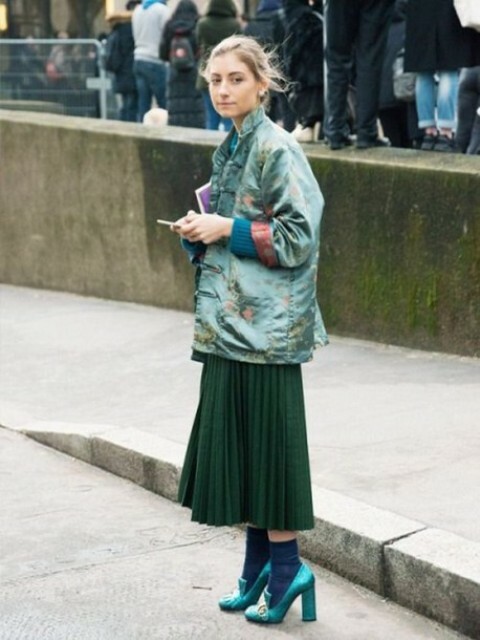 Or you can try to mix your clothes with metallic or bright colored ones or take even a printed jacket. Now you should scroll down and consider all ideas. If you are looking for casual and simple outfits, then we have some good ideas. First of all, you can take a white loose t-shirt and combine it with an olive green satin bomber jacket, black skinny pants, a black leather tote bag and black lace up flat shoes. Secondly, you can choose a white t-shirt and mix it with a beige satin jacket with an appliqué, skinny jeans, a beige leather clutch, rounded sunglasses and beige flats. 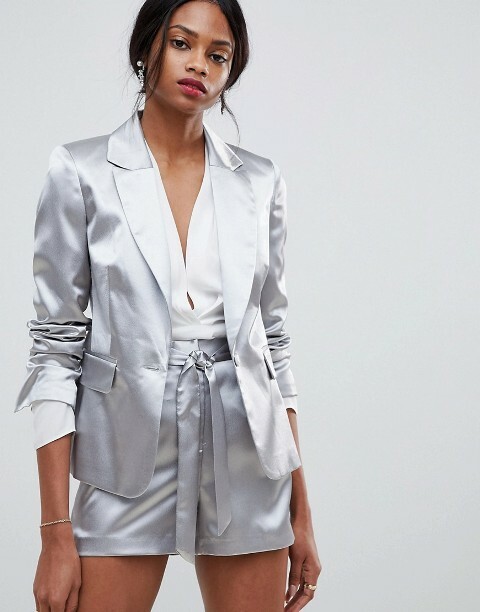 For those who want to create a more eye-catching look, I offer to pay an attention to a combination with a white lace top, a colorful chain strap mini bag, white sneakers and a silver satin suit with a long blazer and straight pants. For making an office styled look you can take a black midi dress and pair it with a white satin blazer, a brown leather bag and beige sandals. 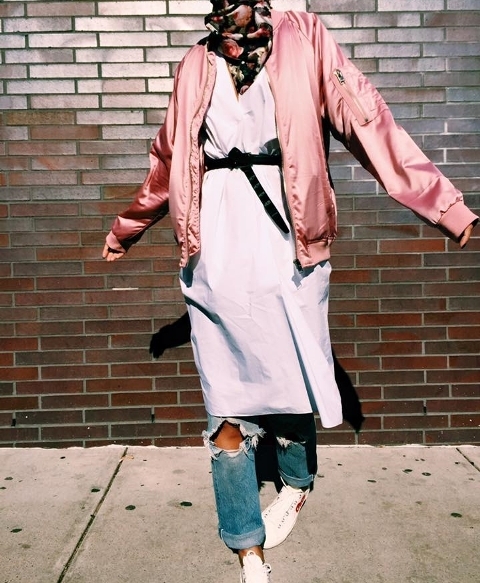 But for a relaxed outfit you should choose a white mini dress, white lace up boots, a pink tote bag and a pale pink satin oversized jacket.